Can't seem to quite find a place on the radio dial that speaks to you and the issues you face? Well, here's the place for you - Man2Man Express Radio! 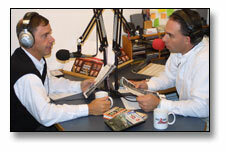 Five days a week, fifty-two weeks a year Man2Man Express delivers relevant ministry to the lives of men across the country with interviews and biblically challenging srgments.